Ian McColl received an interesting price list of new cuffs from an company in Pakistan and passed it on to me. The prices shown are for purchases in quanitites of 100. 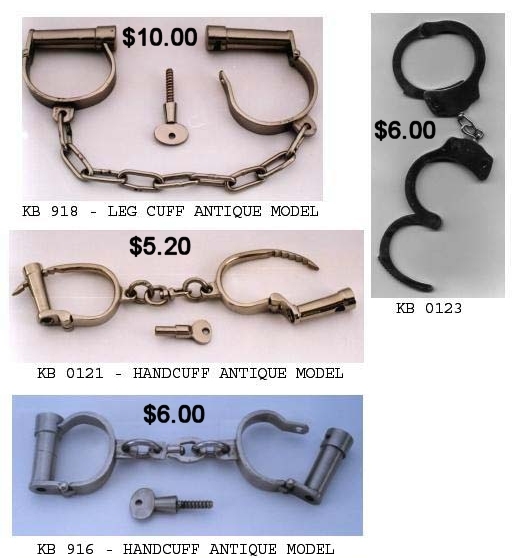 The interesting thing about the cuffs is the "Sheffield" type male key. In particular the leg iron is unusual. When they show up on ebay I may actually buy one.